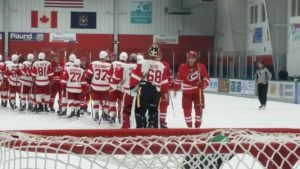 Detroit’s prospects fell to the unbeaten Carolina Hurricanes Tuesday night in the championship game of the 2016 Traverse City Prospect Tournament. 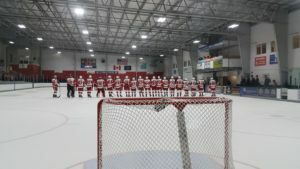 After falling behind early, the Red Wings played from behind the entire game, making a strong push in the last ten minutes, ultimately losing by a score of 6-4. 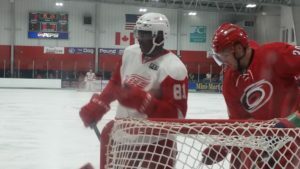 Detroit opened the tournament with a 6-4 win over the reigning back-to-back champions the Columbus Blue Jackets. This beginning momentum did not carry over into Game 2 however, as the Chicago Blackhawks pitched a five-goal shutout. After a day off, the Wings defeated the St. Louis Blues, a team that beat Chicago 3-2 in their previous game. Carolina began the weekend with a close 4-3 win over the New York Rangers. They then defeated the winless Minnesota Wild 4-2 and the Dallas Stars 6-3. Their combined 14 goals was the highest of the eight teams. Five players had scored twice and 16 had registered at least one point coming into Tuesday night. The Canes wasted no time finding the back of the net. By the eight minute mark they had already established a two-goal lead, leading in shots 10-2. Steven Lorentz and Andrew Poturalski were the goal scorers. Detroit did manage to stop this momentum leading into the first intermission as tournament veteran Zach Nastasiuk wristed a shot past Carolina netminder Alex Nedeljkovic on the power play with 25 seconds left in the first period. 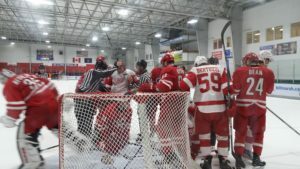 With their opponent outshooting them two-to-one, the Red Wings came into the second period with a game plan to get pucks on net. Top-line center Kyle Criscuolo had a no-goal when his shot hit the far-right top corner of the post. 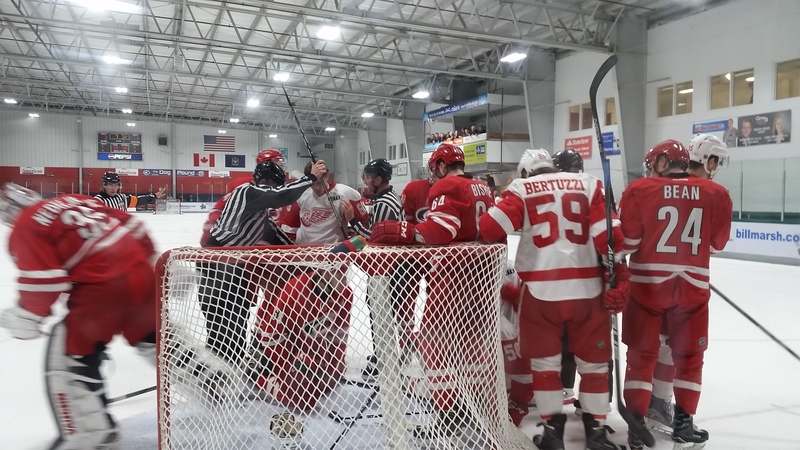 Linemate Tyler Bertuzzi claimed that it was in by pointing his stick at the netting below the crossbar, but the goal would not count and the 2-1 score would remain the same. The following two shifts had a lot of energy from Detroit, and it seemed that their strong push would soon lead to a goal. However, a penalty turned the momentum over to the Canes, who capitalized on the man-advantage on a goal from Jake Bean. Next, Julien Gauthier scored a pair of goals for Carolina. The first of the pair came shorthanded with an assist from Nicolas Roy. Roy also had the primary assist on the second, coming with 50 seconds remaining in the period. This made it 5-1 after two. On a positive note, the Wings pulled even in shots with 22, despite the lopsided score. 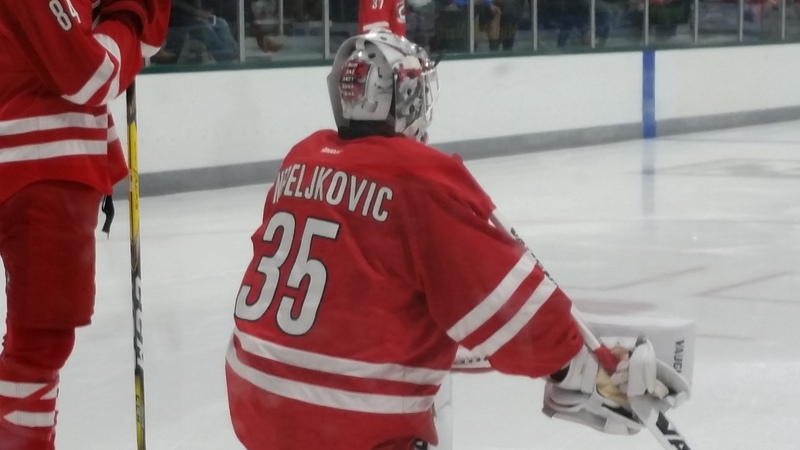 Nedeljkovic allowed few rebounds throughout the game, making it difficult for the team to score. The third period would prove to be Detroit’s best. Goalie Jake Paterson was replaced by Connor Hicks, and the offense seemed to follow. Bertuzzi led the way in the final frame, scoring from an Evgeny Svechnikov pass at 4:28. Carolina’s Hudson Elynuik then scored his team’s sixth goal with 4:30 to play. Detroit would press hard in the final five minutes. 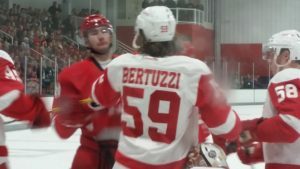 Bertuzzi scored again, this time from Criscuolo, while Dominic Turgeon found the scoresheet as well (his first point of the tournament). 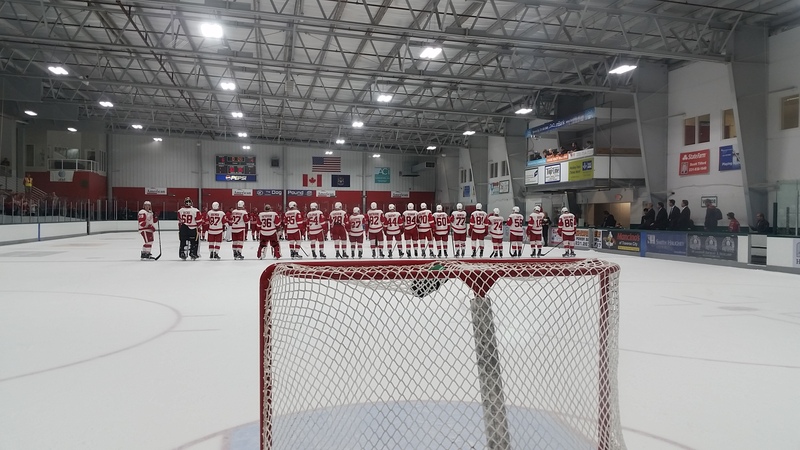 With the net empty in the final minute, the Red Wings almost found a fifth goal on a Criscuolo backhand shot, but the score would remain 6-4, giving the Canes the Matthew Wuest Memorial Cup. The Czech defenseman was outstanding in his first prospect tournament. The language barrier makes it difficult for on-ice communication, but he is making it work. On Tuesday, he registered two assists, saved a goal, and nearly had another shorthanded rush (he scored shorthanded the previous game). He was physical, covered his man well, and made smart plays all night, everything a coach wants to see from a defenseman. First-time participant Givani Smith says the team can draw a lot of positives out of their second-place finish. He said he enjoyed his first tournament in Traverse City, also noting that the fast pace of play took a little adjusting to in Game 1. Smith also commented on the leadership of some of the veterans on the roster. Coach Nelson then touched on the transition between the tournament’s end and training camp’s beginning. Training camp kicks off on Friday, September 23rd and runs through the 26th. 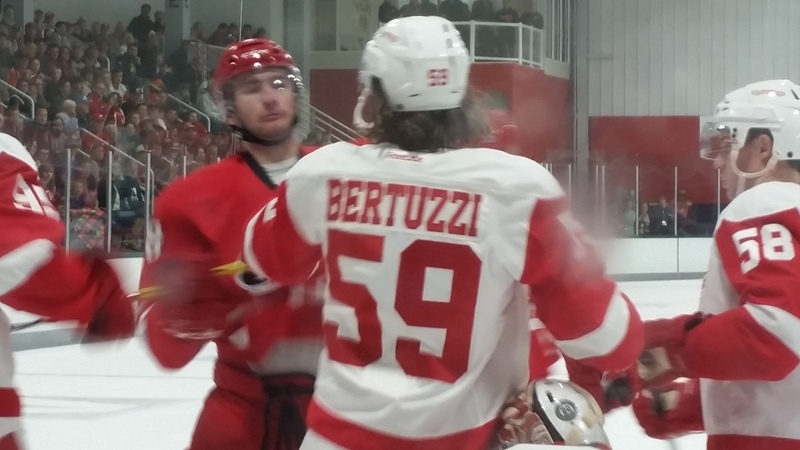 Tyler Bertuzzi finished the four-game tournament with four goals and one assist. Kyle Criscuolo finished with one goal and three assists. 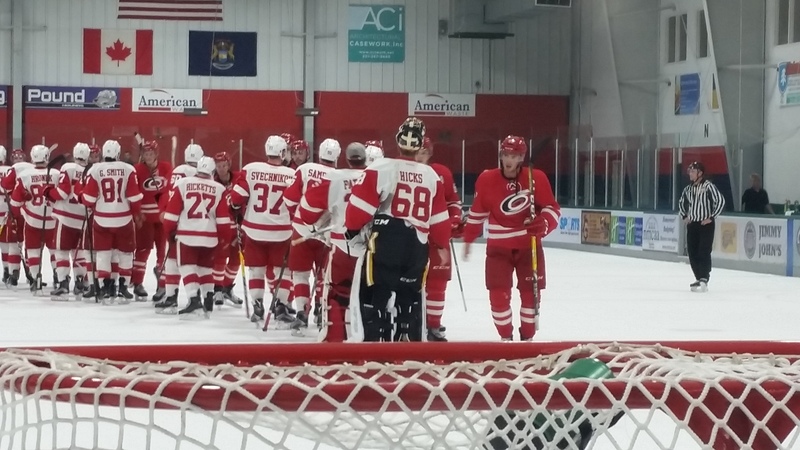 Mike Borkowski, Evgeny Svechnikov and Filip Hronek each finished with three points. Although Chicago finished the tournament with the highest save-percentage (.926), they tied for last place with St. Louis and Minnesota. Only Carolina (.906) and Minnesota (.907) were above .900. Detroit was the lowest at .838. Not only did Carolina finish with the most goals, they also had to make the most saves (116).